With over half a million consumers passing through its doors every month, East Point Shopping Centre in Boksburg provided the perfect environment for Coca-Cola brand Cappy to launch and showcase its exciting fruit juice variants. 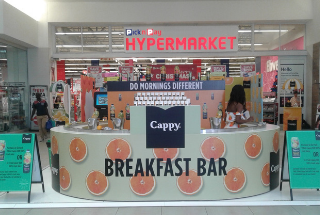 Facilitated by Mall Ads™, Offlimit Communications implemented a unique activation for Cappy in the promotional court in front of Pick n Pay. The activation is part of a larger, over-arching campaign to launch Cappy and its 6 variants to shoppers countrywide. The activation consisted of a breakfast bar, with Brand Ambassadors and Product Specialists engaging with shoppers. A value added special offer ensured that effective sampling took place. Shoppers who purchased the product in store were invited to take a breakfast item from the bar’s conveyor belt. A further touchpoint ensured that the messaging was spread beyond the mall environment to the virtual world – a photo booth opportunity encouraged customers to share images and messages to social media. “With our extensive portfolio of malls and product offerings, we are able to provide brands access to high footfall malls that cater to a specific LSM band. The Cappy activation implemented at East Point by Offlimit Communications had Pick n Pay sell out of the product within two days – a result of product, environment and audience being perfectly aligned,” explains Bonga Sibisi, Account Manager: Mall Ads™. As malls are the last point of influence, the Cappy activation resulted in the brand being top of mind. “Shoppers generally have an idea of what they want, but have not made a decision on what to buy, so it is imperative that brands effectively engage with them in ways that help them make those decisions,” says Sibisi. Mall Ads™ has exclusive advertising rights for East Point Shopping Centre, a mall that attracts an upper LSM shopper. 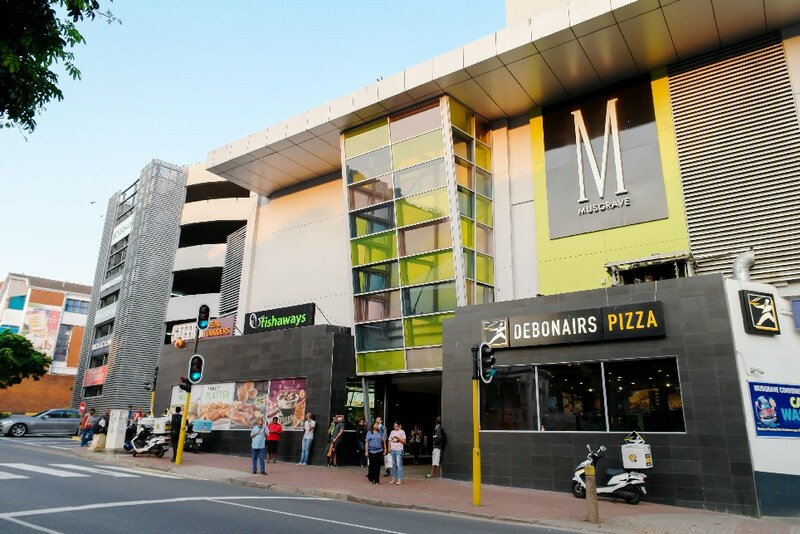 Since its refurbishment, the mall offers over 72 stores and an array of luxury outlet shopping as well as a fresh, new family orientated food court.